Home Health Blood Disorders Did you know hemophilia is caused by inherited genetic variants? Did you know hemophilia is caused by inherited genetic variants? Meet Max. He’s your typical five year old – noisy, curious, inquisitive, and always on the move. He loves cars, blocks, jumping in puddles, and wants to be a hockey player when he grows up. Sadly for Max, that is one dream he will never be able to realize. Why? Max has hemophilia, a rare inherited bleeding disorder where blood does not properly clot. Contact sports, like hockey that involves sliding, shoving and hitting, are simply too dangerous. Not only that, Max has to be extra careful whenever he is out playing or running around the house. Just a simple cut can make him bleed a lot. But the much more dangerous symptom of hemophilia is “unseen” internal bleeding. This can occur after straining a muscle, injuring a joint, or an impact causing bruising. In severe cases, this internal bleeding is often spontaneous with no apparent cause. The two common types of hemophilia are type A and type B. Both types are caused by genetic defects, affecting the normal blood clotting cascade. This clotting cascade is the complex sequence of reactions that cause the blood to clot and allow wounds to heal. Hemophilia type A is caused by mutations in the F8 gene, which inhibit the function of the clotting factor VIII protein. Hemophilia type B is caused by F9 gene mutations, which result in a defective clotting factor IX protein. In both cases, affected individuals will either make abnormal clotting factors, or only produce very low levels of a clotting factor. The best treatment option is to provide the missing clotting factor intravenously, and allow the blood clotting cascade to function as normal. In more severe case, the infusions are required so frequently that a portable catheter is implanted into the patient’s chest. 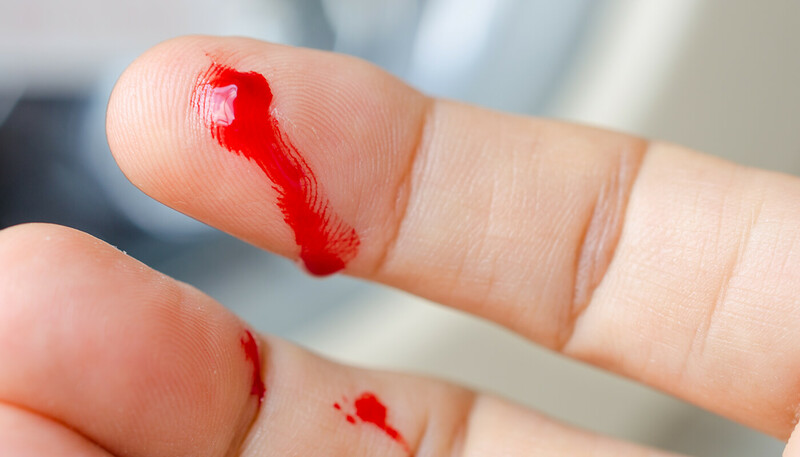 Bleeding is efficiently stopped when clotting factors are given promptly. This also prevents the pain and other complications involved with excessive bleeding. Hemophilia is an X-linked disease, which means that the defective gene is located on the X chromosome. Females have two X chromosomes (one inherited from each parent). Males only have one X chromosome (inherited from their mother) and one Y chromosome (from their father). X-linked diseases predominantly affect males, as if they inherit an X chromosome with a defective gene, they do not have a second X chromosome (with a normal gene) to counteract the affects of the defective gene. Females who inherit one defective hemophilia-associated gene (and one normal gene) are known as carriers. Carriers often do not experience any symptoms, and may not even know that they carry the genetic mutation. However, they have a 50% chance of passing the defective gene onto their children. This means that there is a 1 in 2 chance of having a son affected by hemophilia. Genetic testing accurately identifies carriers and affected individuals from just a simple mouth swab DNA sample. There is currently no cure for hemophilia, so knowing the risk can offer you peace of mind, especially if hemophilia runs in your family. Thanks to advances in treatment options, affected people (like Max), can live close to normal lives. However, the treatment options are very costly, ranging from a few thousand dollars to almost a million dollars a year, depending on the severity of the disease. A recent breakthrough, using factor VII gene therapy to treat a bleeding disorder in dogs, certainly offers much hope. Perhaps one day in the near future, gene therapy will also cure hemophilia, and perhaps Max might realize his dream of becoming a hockey star after all. Previous articleDid you know DNA affects your adioponectin levels and your type 2 diabetes risk? Next articleDid you know DNA influences your risk of autoimmune diseases?